The controversy over Assam finance minister Himanta Biswa Sarma’s alleged involvement in Saradha chit fund scam refused to die down. West Bengal chief minister Mamata Banerjee on Tuesday released a letter written by key accused Sudipto Sen to CBI accusing Sarma of taking ‘at least Rs 3 crore’ from him. Now-defunct Saradha Group chief Sudipto Sen on April 6, 2013 had sent an 18-page letter to the CBI alleging that several top politicians and officials blackmailed him for two years. In the letter Sen listed 22 persons including minister Sarma who “used him” to make money. Minister Sarma, who switched to BJP from Congress, was health and education minister of Tarun Gogoi led Assam government during that time. 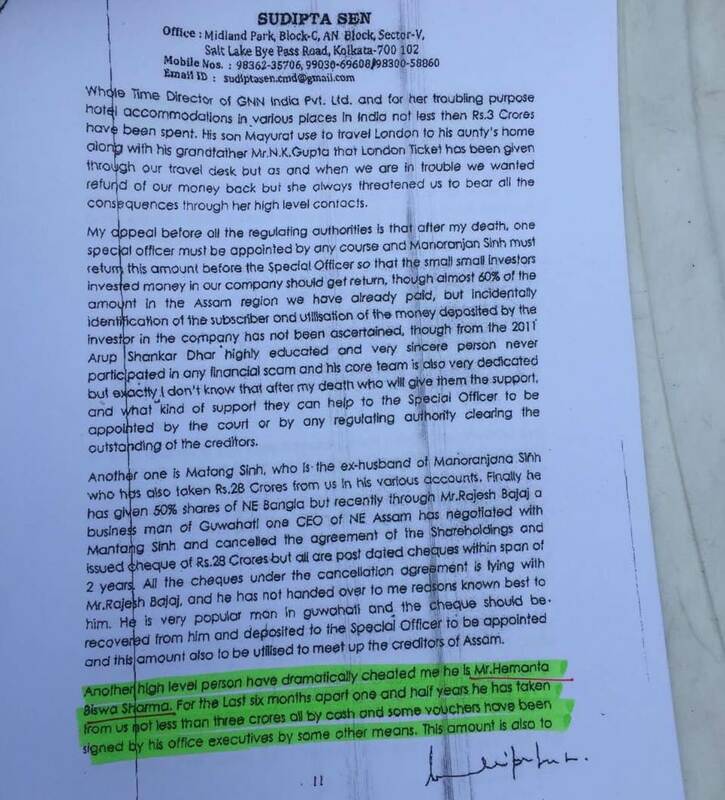 The particular page of the letter is also being widely circulated on WhatsApp as well. Attempts to reach Sarma went in vain as he did not respond to phone calls from Northeast Now. 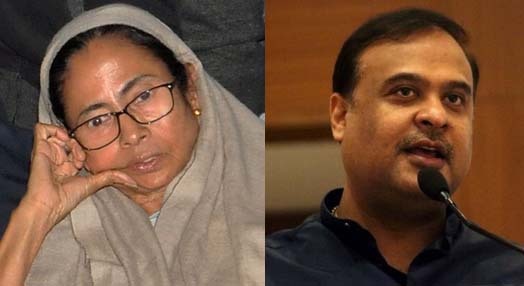 CM Mamata on Sunday had claimed she had “enough evidence against the Assam deputy chief minister (read Himanta) ” and dared Prime Minister Narendra Modi and BJP president Amit Shah to get him arrested. 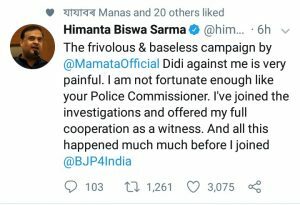 Earlier in the day, minister Sarma in a tweet said that he was “only a witness” in the case and the CBI had already examined him. “It’s painful that Mamata Banerjee, whom I respect so much, is accusing me without considering the facts. The CBI had called me as a witness. I joined the investigation much before I joined the BJP. In fact, I had stayed with the Congress for at least three months after I was called for questioning. Even the CBI told the court that I was just a witness. So Mamata didi trying to drag me and my party into the Saradha’s scam is very painful,” Sarma further told reporters here. 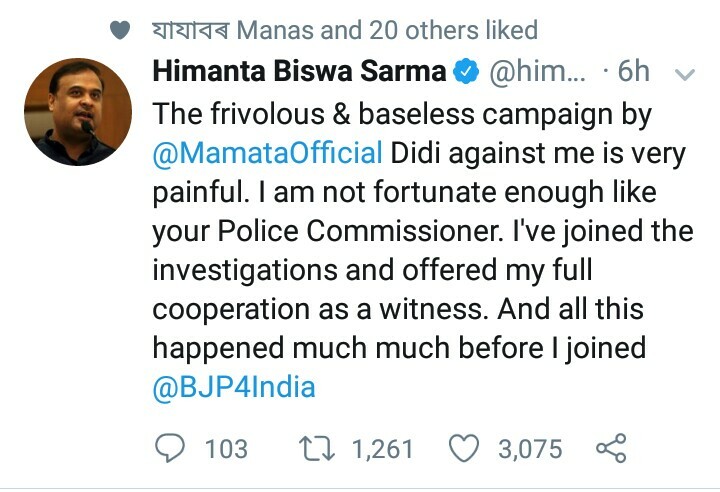 Sarma was questioned by CBI in 2014. He was accused of allegedly receiving Rs 20 lakh per month from Saradha’s chairman Sudipto Sen to help him run his business in Assam.